For the tech-savvy team at NairoBits, empowering young women in Kenya’s poorest slums isn’t just about teaching new skills. 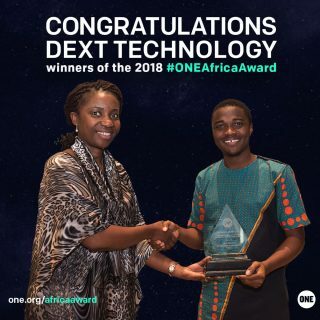 It’s about using technology to help women and girls achieve success in Africa’s Silicon Savannah. The East African country of Kenya contains some of the most densely populated and poorest informal settlements—or slums—in the world. 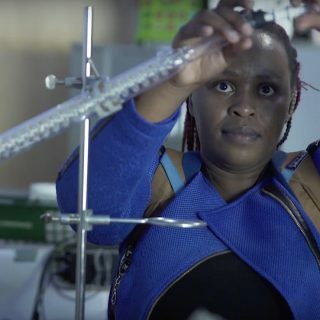 For the last 17 years, the Kenya-based nonprofit NairoBits has equipped young people living in informal settlements with cutting-edge computer skills and individualized mentorships, successfully connecting hundreds of graduates to careers in information technology and small business development. At the forefront of their mission to improve the social and economic capital of young Kenyans is a new, gender-specific mission focused on women and girls. And she would know. Both Sebit and NairoBits Project Coordinator Miriam Wambui grew up in informal settlements, experiences they say help guide NairoBits’ information and communications technology (ICT) programs. Participants pose in front of an informal settlement for a #PledgeForParity photo. “I think we are in a better place to implement the program because we understand what it’s like to live today and not know what you will wake up to tomorrow,” says Sebit. 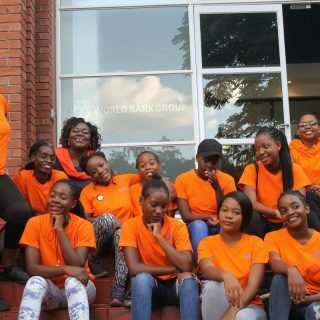 Now in their second year, NairoBits girls’ centers provide three levels of coding, web design, and development classes to girls ages 14 to 24—many of whom have been left out of traditional educational or employment opportunities, according to Sebit. By learning high-level marketable computer technology skills, students will be able to join higher paying job markets and thus bring them out of poverty. 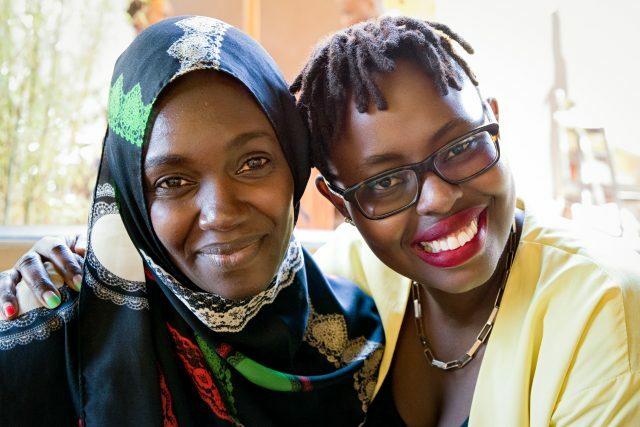 Sebit and Wambui say NairoBits launched gender-specific tech hubs in Kibera and Korogocho after noticing that girls were dropping out of classes earlier—and more often—than their male counterparts. Wambui says the added burden of unplanned pregnancies and sexually transmitted diseases also puts girls more at risk. Instead of overlooking the needs of vulnerable girls, NairoBits chose to address them head-on by adding reproductive health education to their computer-centered curriculum. “It was a decision (to teach reproductive health education) because if you want to train someone for the job you have to look at them wholly—not just the job skills, but how they retain their jobs,” says Sebit. “We want to make sure that a girl is getting support from different places, not just the system,” adds Wambui. NairoBits also links female patients to reputable—and affordable—health facilities in the area, and provides complimentary female hygiene products to girls who are unable to afford them. But while teaching tangible work skills and entrepreneurship is important, Sebit and Miriam Wambui say true success is achieved by helping students develop mindsets to dream bigger and broader in the face of adversity. Rukia Sebit and Miriam Wambui of NairoBits. “At the end of the day, the training is more of a mindset. (A mindset) of not feeling sorry for themselves or where they come from, but to make themselves better,” says Wambui. “Changing the lives of the persons we’re working with and seeing their faces … it’s priceless,” she adds.